Dr. Chan has made major contributions to the field of protein folding and continues to design and apply computational tools to a wide variety of biophysical problems. Dr. Hue Sun Chan obtained his B.Sc. degree in Physics (First Class Honors) from the University of Hong Kong in 1981, after which he moved to the University of California at Berkeley where he earned a M.A. in Physics in 1983 and a Ph.D. in Theoretical Physics in 1987. He then joined the University of California at San Francisco initially as postdoctoral fellow with Professor Ken A. Dill and then as adjunct faculty. In 1998 he joined the faculty of the Departments of Biochemistry, and of Medical Genetics & Microbiology at the University of Toronto, where he has been a full professor since 2003. 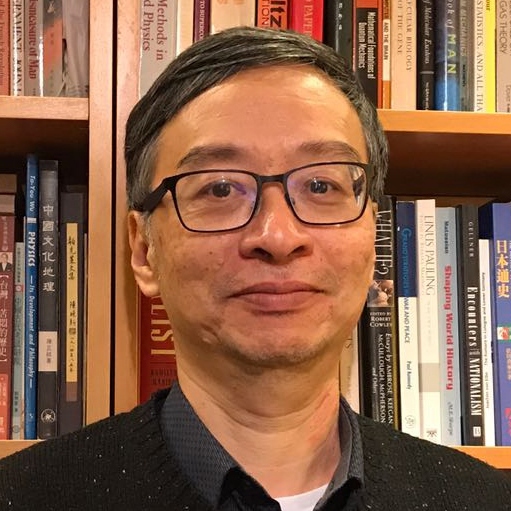 Dr. Chan is an exceptional biophysicist, who, in the last three decades, has made major seminal contributions to the field of protein folding, and who continues to be extraordinarily productive in designing and applying computational tools to a wide variety of biophysical problems. He has published more than 120 papers that have been cited nearly 15,000 times, resulting in an h-index of 56. While working with Ken Dill at UCSF, Dr. Chan focused on a long-standing problem in biophysics, i.e. the protein folding problem. He developed transformative computational approaches to model protein folding mechanisms. His 1997 paper in Nature Structural Biology has become standard material in biophysics and biochemistry textbooks, including an iconic schematic figure illustrating the concept of a funneled energy landscape in protein folding. More recently, Dr. Chan has implemented computational methods and developed polymer theory to study new systems and processes, such as protein folding cooperativity, role of nonnative interactions in folding, protein evolution, DNA topology and topological simplification by topoisomerases, intrinsically disordered proteins and protein condensates. He has been at the top of a crowded field for many years and has impacted the careers of many scientists all over the world.